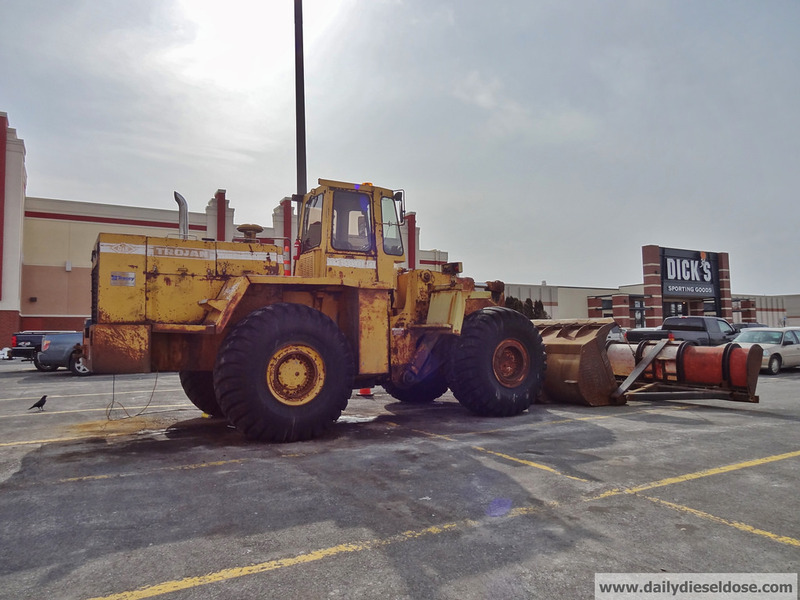 One year ago I was in Watertown, NY when I stopped by the local mall to check out their snow plowing equipment. I found a few machines worthy of photos but never got around to posting them on the website. I later discovered that I deleted these photos and God only knows how many others during a failed backup process. The whole debacle still causes me to become sick to my stomach each time I think about it. Almost a year to the day I was back in Watertown and decided to see if I can recapture those deleted photos. Believe it or not I found each piece of equipment located in the same spot from the previous year. This time I know the photos are backed up and posted to this website. We can all breath easy now. 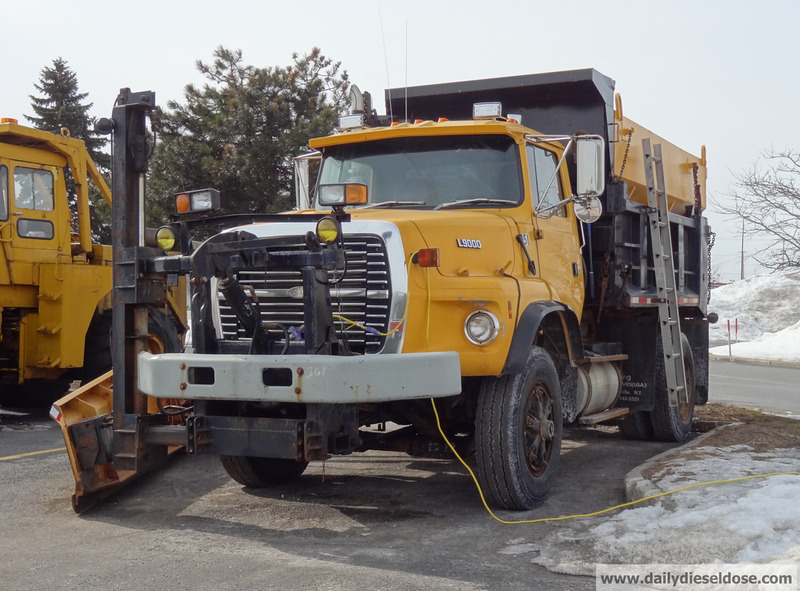 On my original trip to W-Town I stopped by the local Tracey Road Equipment branch and was pleased to find a near identical model to the Trojan seen below. It should come as no surprise that it didn’t wait around a year for my return like the mall unit did. 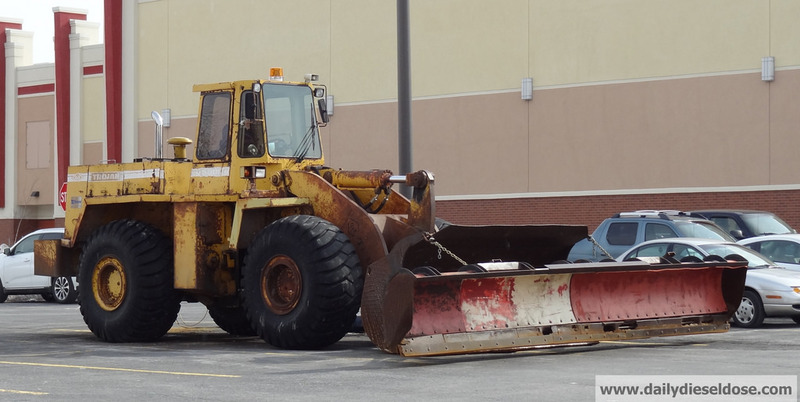 This loader laughs at your pickup with one plow blade. 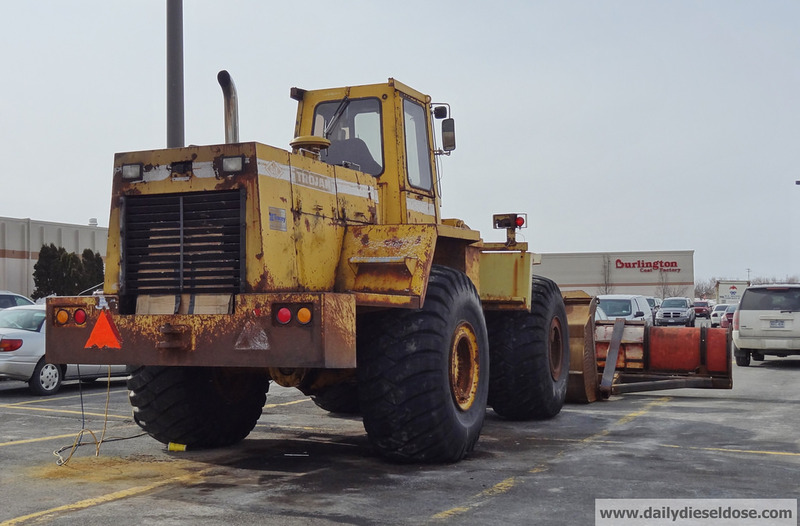 Also onsite was this very clean Ford L-9000. Last year I thought I could make out the name of the town it was belonged to this but this year there was no clue to its past. 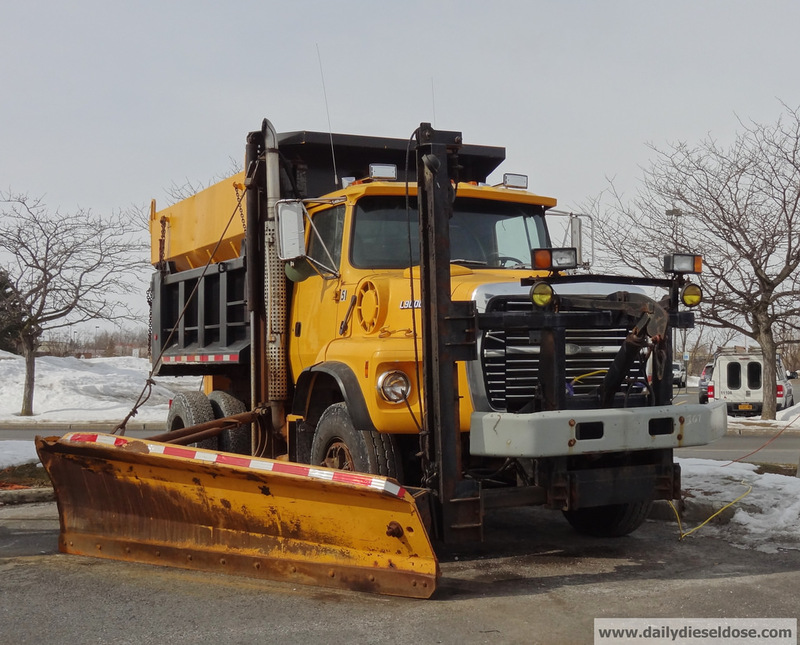 There was also a very clean Michigan loader with 3 in 1 bucket parked next to the Ford. Check the gallery below. 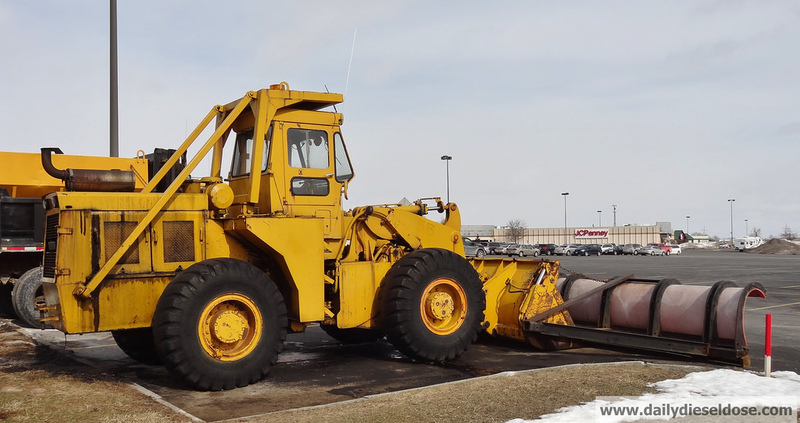 This entry was posted in Snow Plows and tagged ford l-9000 snow plow, michigan loader, salmon run mall, trojan loader. Bookmark the permalink.